Pieter van der Merwe raised the topic of the artist of the Government Art Collections ‘Windsor Castle, View of the Broad Walk’, undated, by Robert Langley (active 1835–1845). Another painting by the same artist had been found privately, dated 1851. Could more be found about the artist? Osmund Bullock did research, and found the artist’s actual name to be Richard Langley, post office worker and painter, born 1808 and died 1878. He exhibited in 1834 and 1845. Please see the discussion for a full biography of the artist. 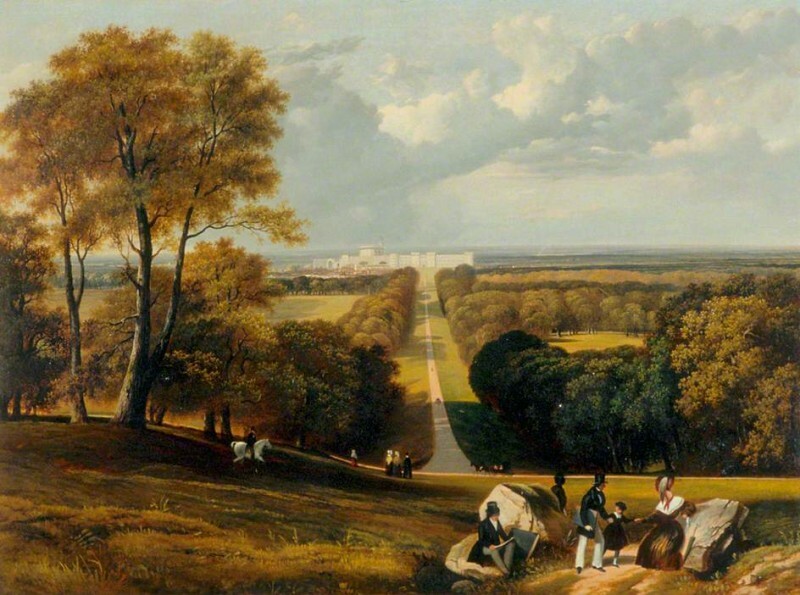 In addition, the painting was found to be titled Broad Walk, when it actually showed Long Walk. A date of c.1835 could be given to the painting.